You are currently browsing articles tagged hyacinths. Kate Middleton and Prince William tied the knot today at West Minster abbey, and the sun shone for them after all. They will now be known as The Duke and Duchess of Cambridge. Kate’s highly anticipated wedding dress did not disappoint, she looked beautiful in an ivory vintage style gown designed by Sarah Burton at Alexander McQueen. The dress had a very classic Grace Kelly feel to it, and featured a lace appliquéd bodice and skirt. It was made with English lace, French Chantilly lace, satin gazar and silk tulle. 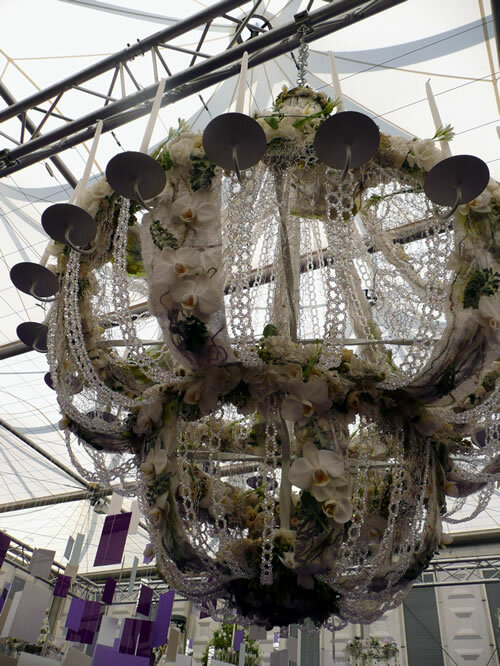 The design contained lace flowers including the rose, thistle, daffodil and shamrock. 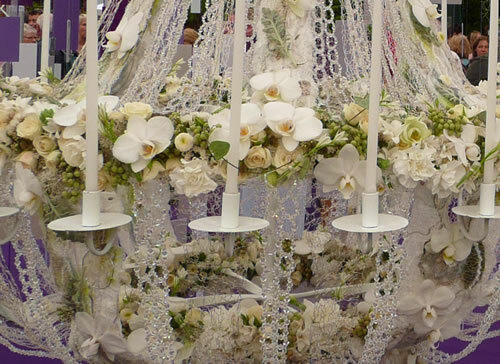 The skirt reflected an opening flower with arches and wide pleats and had a 9ft long train. 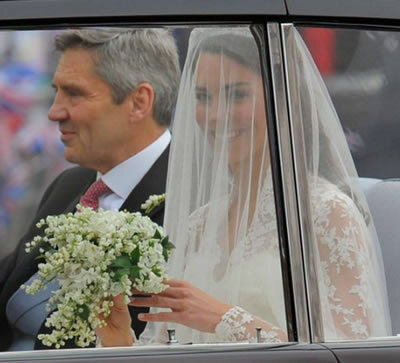 Kate wore a veil made from ivory silk tulle, edged with hand-embroidered flowers. It was held in place by a Cartier ‘halo’ tiara lent from the Queen. 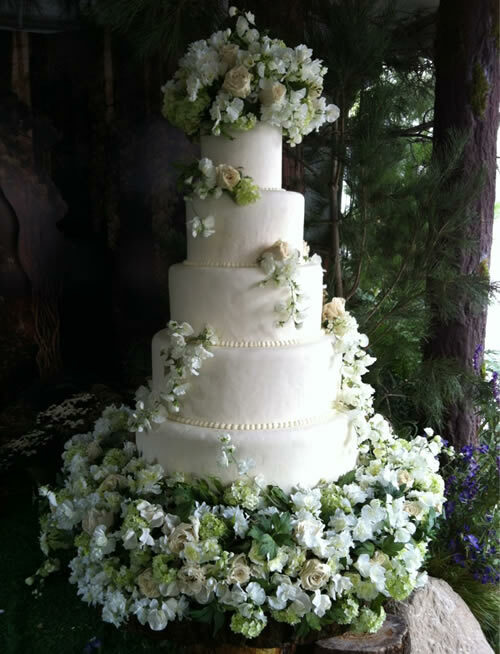 The predictions I made few weeks ago for Kate’s flower style were almost spot on, neutral colours and understated flowers. 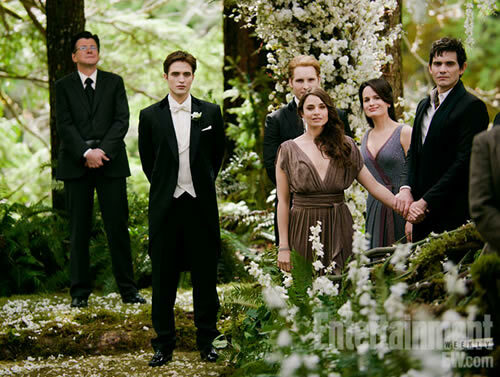 The flowers at the wedding all had a very natural organic feel. 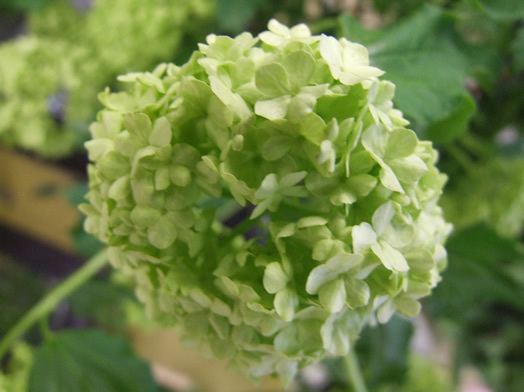 The couple reportedly spent £50,000 on flowers, plants and four tons of foliage. 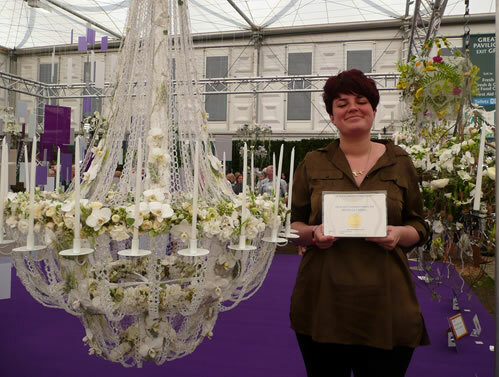 Shane Connolly was the lucky florist chosen to create design for the wedding of a lifetime. 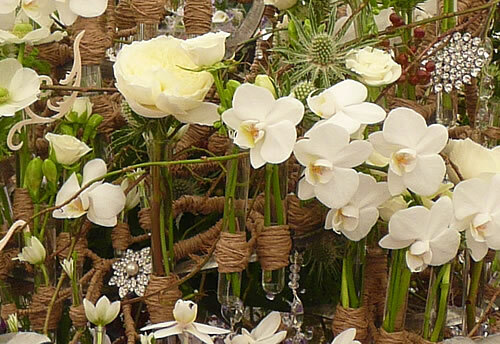 He designed all the flowers for the Royal Wedding including Kate’s bouquet, she held a petite shield-shaped bouquet in ivory and white, not quite a teardrop, a little shorter. It consisted mainly of delicate lily of the valley with some hyacinths, sweet william, ivy and myrtle. 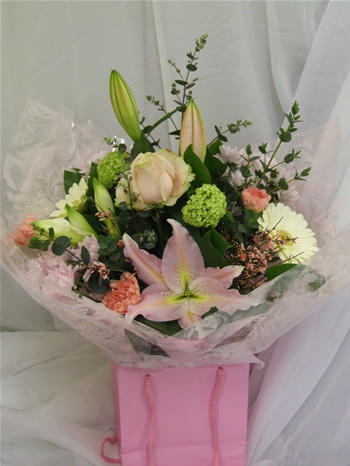 Kate’s bouquet will have had a wonderful fragrance, as lily of the valley and hyacinth are highly scented. The wired design was very understated and suited her vintage style dress perfectly. 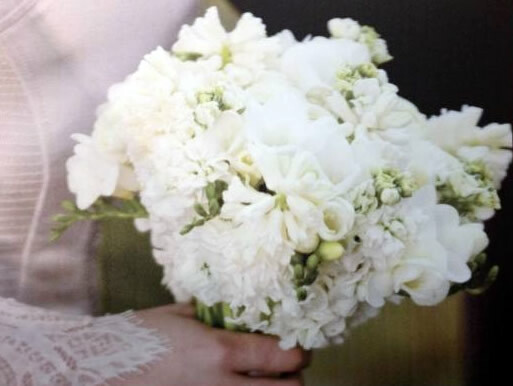 All the flowers in the bouquet were chosen according to their significance for the Royal Family and the Middleton family, as well as their meaning according to the Language of Flowers. 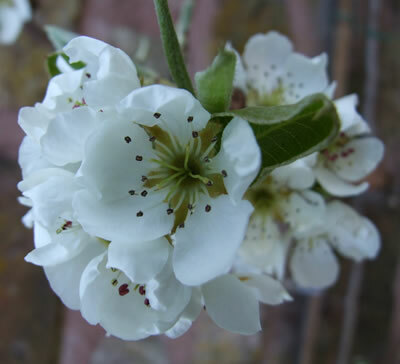 Kate’s sister Philippa wore a comb of lily of the valley in her hair. The younger bridesmaids were cute as a button wearing circlet headdresses made from ivy and lily of the valley. 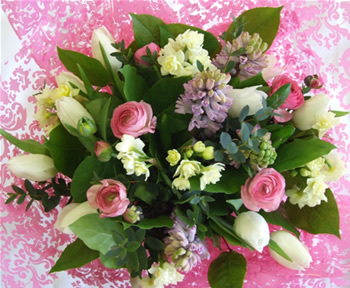 The bridesmaids carried tied posies of lily of the valley, hyacinths and sweet william. 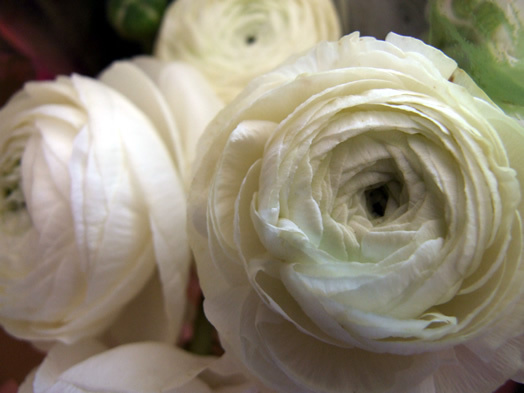 The youngest bridemaids carried pomanders of the same flowers held on ivory ribbon. The buttonholes were also made with lily of the valley. The flowers in Westminster Abbey were all English grown, many from Royal Estates. 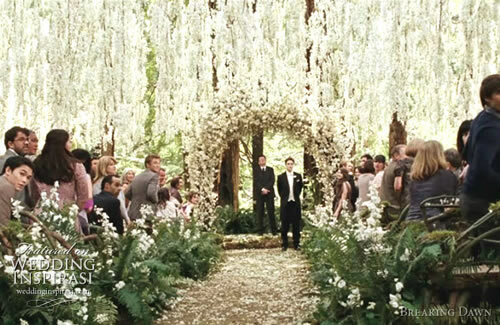 The aisle was lined with 20ft high English trees with growing lily of valley around the base. 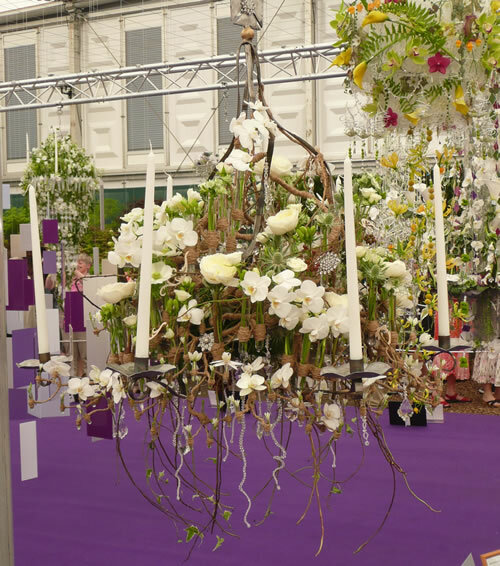 The flower arrangements throughout the Abbey were made with ivory flowers incorporating lilac, wisteria, blossom and azalea in a very loose and natural style with lots of foliage including euphorbia, viburnum, beech and eucalyptus. 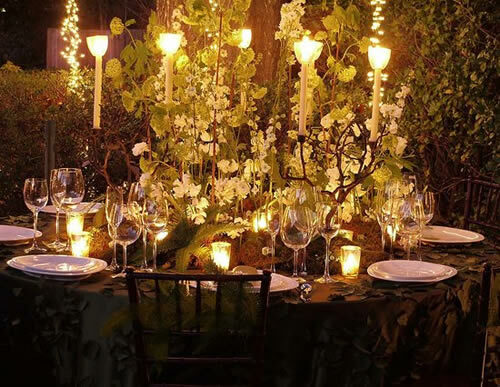 Even though William and Kate’s royal budget is out of the reach of most couples, there are always more economical ways to achieve your dream style..but that’s another blog. I think today they showed the world a classic English wedding, and provided a lot of inspiration for a romantic vintage look. Congratulations to William and Kate, I wish them long and happy life of love and laughter.